Friday the 13th Part 7: The New Blood. . HD Wallpaper and background images in the Jason Voorhees club tagged: jason voorhees friday the 13th the new blood part 7 kane hodder horror. 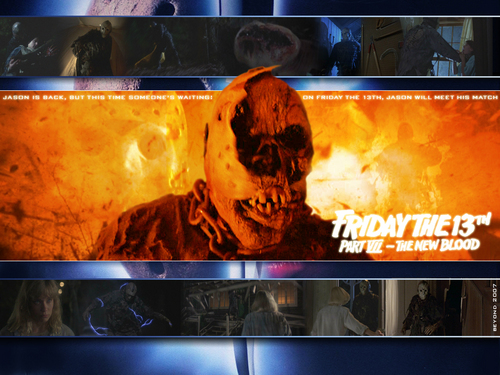 This Jason Voorhees wallpaper might contain barbecue, barbeque, abattoir, butchery, shambles, and slaughterhouse.